DMU is a vibrant, multicultural hub of learning, creativity and innovation that never surrenders to convention. 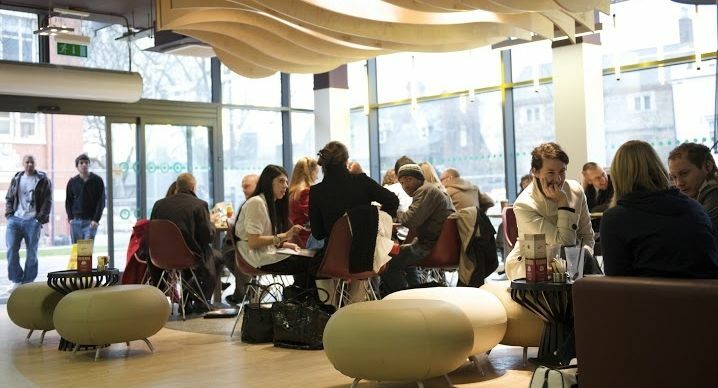 DMU was awarded Gold in the 2017 Teaching Excellence Framework (TEF), recognising its fantastic teaching. The University was also named as one of the 150 best young universities in the world by Times Higher Education 2017. 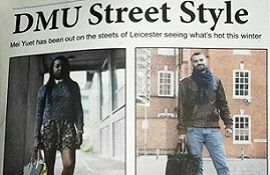 Its city-centre campus is located in the multicultural city of Leicester, just over one hour by train from London, and is a great place to study and, being based in Leicester, it is a great place to live. 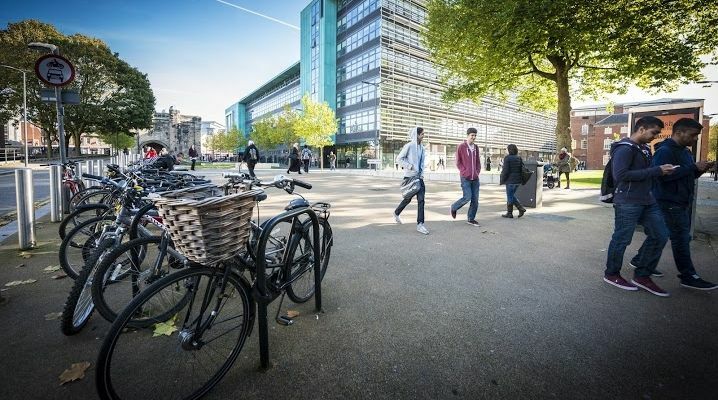 Success of the University is built on a fantastic student experience coupled with award-winning teaching and world-class facilities that help you develop the skills and attitudes employers demand. Little wonder then that DMU is one of the top 25 universities for graduate employment. DMU provides a supportive learning environment in which our students are encouraged to hone their skills, be creative and defy the odds. 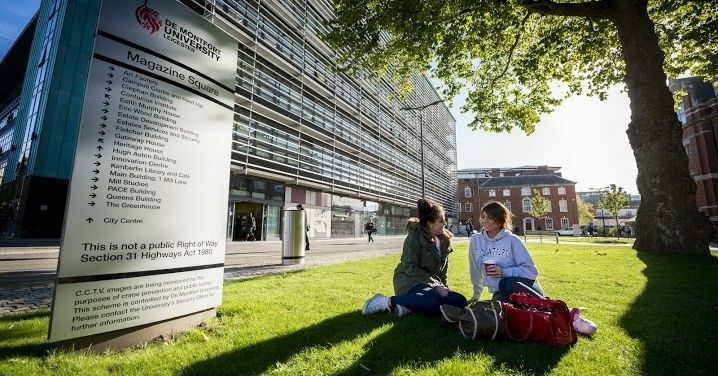 To ensure they succeed, more than 20,000 students, including more than 2,000 international students, at DMU are fully supported by nearly 3,000 staff. The University has excelled in the National Teaching Fellows awards − the most prestigious awards for excellence in higher education – receiving 18 since the scheme began. Our four faculties offer 400 diverse undergraduate and postgraduate subjects, with full-time, part-time and distance-learning options. More than 170 of our courses are professionally accredited, boosting our students’ employability. 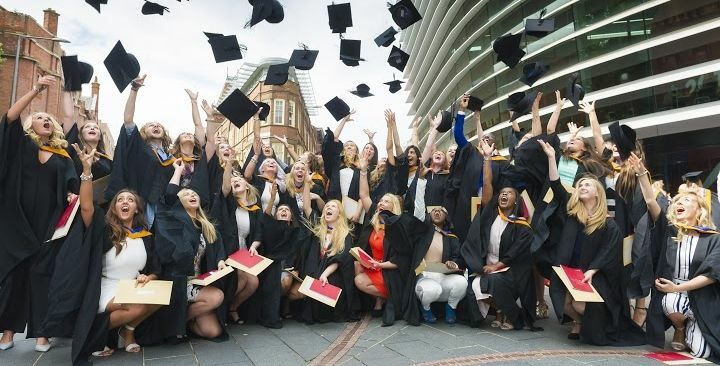 With more than 120 different nationalities represented, DMU truly is a global university. We also have 155 international partnerships providing placement opportunities around the world. 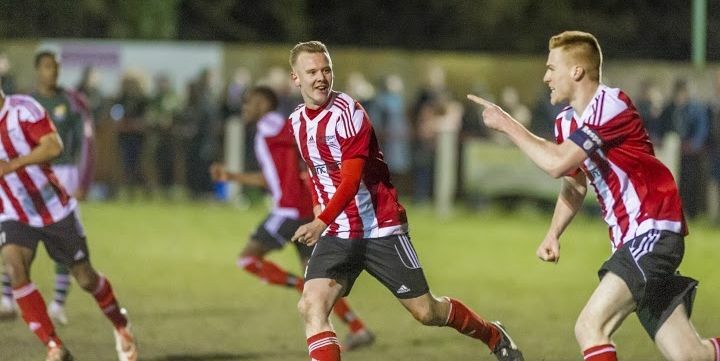 Through our ground-breaking programme #DMUglobal, students can enjoy a valuable international experience during their studies either overseas, on campus or in the UK to enhance their employability and give them a competitive edge. DMU is committed to providing career-relevant skills through our strong links with leading national and international employers such as the BBC, Caterpillar, Deloitte, HP and the NHS. Many of our courses offer work placements: every year 1,850 placements are taken up by students allowing them to put theory into practice and gain CV-enhancing experience. We also provide employment opportunities through Frontrunners our innovative, paid placement scheme and Unitemps, our in-house employment agency. DMU has a long history of innovative, life-changing research, which has gained national and international recognition. In the 2014 Research Excellence Framework report (REF), close to 60% of DMU’s research activities were judged to be world-leading (4*) or internationally excellent (3*). REF is the system for assessing the quality of research in all 154 UK universities. 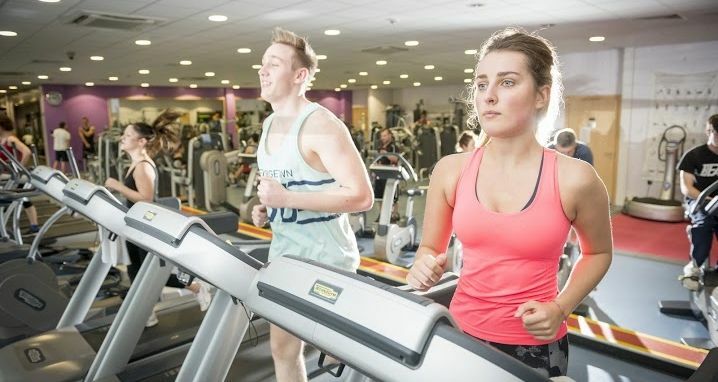 DMU achieved an overall rise in research quality of 15 per cent compared to the last exercise in 2008. De Montfort University (DMU) is a dynamic institution with a long and vibrant history of improving people’s lives through education. Originally founded as the Leicester School of Art in 1870, the university officially became De Montfort University on 26 June 1992. Charles Dance OBE, Actor in Game of Thrones. Lewis Moody MBE, International Rugby Player. Sir Peter Soulsby, Politician and Leicester City's mayor. Akram Khan MBE, Dancer and Choreographer. Geoff Rowe, Founder and Director of the Leicester Comedy Festival. Geordan Murphy, Rugby Player. Andy Reed, MP for Loughborough. 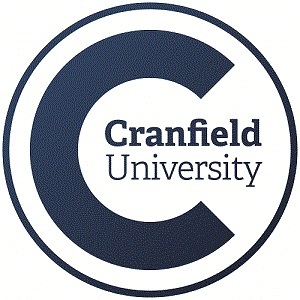 Recognised internationally for its courses in the Creative Industries – from media and technology through to fashion and product design. DMU's Postgraduate Diploma in Journalism is accredited by the National Council for the Training of Journalists (NCTJ) and achieves an employment record of almost 100 per cent. 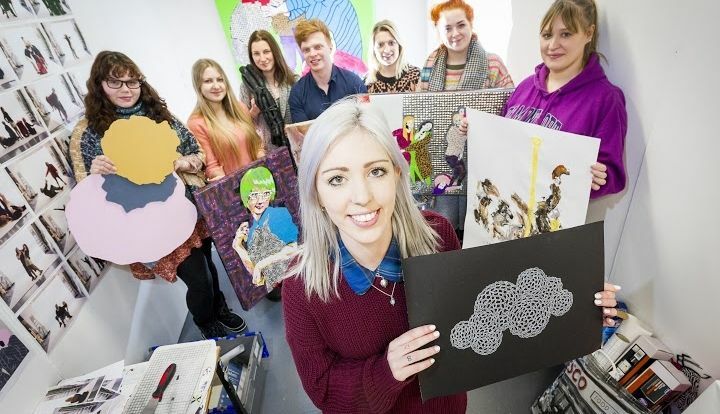 More than 170 DMU courses are accredited by professional statutory and regulatory bodies, ensuring high quality and consistent foundations upon which students can forge and further their careers. The university has a strong track record in working with businesses to create custom-made high-quality courses. DMU has a proud tradition of preparing people for careers in the professions - including health, law, journalism, architecture, accounting, engineering. DMU produces more graduates who start up their own businesses or become self-employed than any other East Midlands university. In 2007–08 our graduates were responsible for 138 business start-ups. Foundation Certificate, "Art and Design Pathway"
Leicester is at the heart of England with excellent transport links. 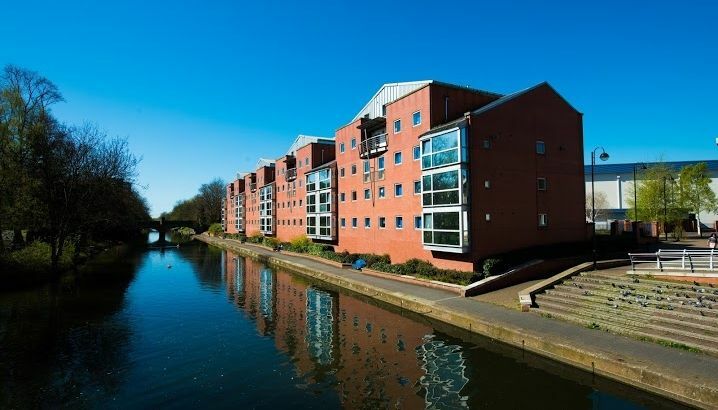 It is just off the M1 and close to the main A1, with easy access to the north and south. The M69 and M6 are also close by and offer access to Birmingham, Wales and the south west. Leicester is just over an hour away from London St Pancras, and the Eurostar hub, meaning Paris is only four hours away by train. East Midlands Airport is 30 minutes away with regular flights to destinations across Europe.